No surprise here, but as events such as major wildfires, earthquakes, floods occur worldwide or in our neighbor states, we here at the Division pay very close attention. We have much to learn from our state partners' response and expertise, be it California wildfires, Florida hurricanes or, as we are watching unfold right now with the North Dakota/Minnesota floods. Careful study of these efforts help us think about new messages, new methods and means to employ to meet similar challenges we face here in Colorado. These events, too, allow our information teams to practice gathering information, providing situational awareness in a real-time, real-world setting -- something which we cannot replicate in an artificial exercise. In particular, we watch how emergency public information and warning systems both from the government, private sector, media and community levels come together to protect life and property. 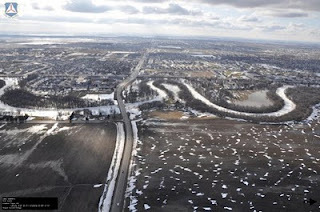 As such, over the past few days, we have assembled a list of information sources we are watching to see how the nexus of social media, grass root efforts are meshing with organized, government response efforts to meet the midwest flood response and thought we might share. 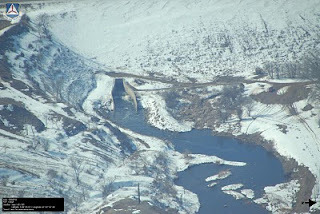 Colorado, too, has a long history of flood events - http://coemergency.blogspot.com/2010/01/historical-colorado-flood-events.html and knows they can and will happen again. In particular, it is the efforts by citizens at the local level to establish and maintain information sharing sites for their communities that we uniquely interested in. How we identify, pool and combine those local efforts with the larger response is what will make the difference in a Colorado disaster. We have grown accustomed to being able to pick up a phone and have someone provide help. 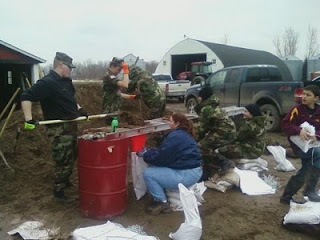 In reality, as we have seen in recent earthquakes and with the volunteer, organized sandbagging operations in North Dakota, the first line of defense and assistance in a major event will likely be our friends and neighbors and the success of their assistance will rest, in large part, in their ability to communicate, direct and mobilize. To help you look at some great examples of online preparation efforts, what follows is a list of important pages and unique online efforts related to the North Dakota/Minnesota Flood Effort. If you are interested in organizing an online emergency management community in Colorado, feel free to contact me at brandon.williams@state.co.us, contact the State's Citizen Preparedness Coordinator, Cathy Prudhomme at cathy.prudhomme@state.co.us or contact your local emergency manager (list at http://dola.colorado.gov/dem/localem.htm). This page will continue to grow as we identify other sources of info we can look to as examples of how to organize. Too, if you know of some sites or other items that should be added to this list, send 'em to me at brandon.williams@state.co.us.